Divorce, also known as dissolution of marriage, is a legal process to terminate a marriage and is governed by the state law. 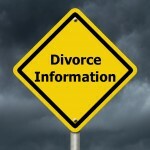 Couples can obtain a divorce on Fault and No-fault grounds. When a party blames the other party for matters like adultery, addiction, impotency, etc. then it is divorce on fault grounds. In no-fault grounds, a party does not place any blame on the other party. It isn’t essential to hire an attorney for divorce cases. However, in complicated cases legal counsel may become necessary. Divorce involves matters like division of assets, spousal support, child custody and visitation rights, which may or may not need to be contested to reach a fair agreement between the spouses. With states, the requirements for residency and marriage dissolution vary. Both parties should divulge financial information to each other for proper property division and determination of settlement amount. Through mediation, couples can reach a settlement by negotiating with each other in private. This settlement can be presented to a judge and if it is approved by him or her, a divorce decree can be obtained. Alimony or spousal support may be awarded to a spouse with insufficient financial resources. This amount may depend on factors like the income disparity between the spouses, age, custodial responsibilities, education of the spouse, standard of living, etc. Alimony may be provided temporarily or permanently. In absence of agreement between parties regarding child custody and visitation rights, the court can make these decisions in the best interest of the children. Normally, one parent gets physical custody of the children, while both share legal custody. In joint custody both parents spend an equal amount of time with children. Non-custodial parents can be granted visitation rights by the court on a schedule fixed by court or both parents.